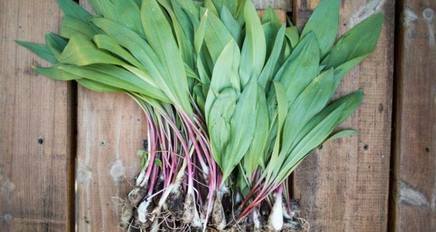 Wild leeks pack a pungent punch. The only thing to do is pickle them and leave them to calm down for a few months. Three parts vinegar, two parts water, and one part sugar. We always use the same formula. Heat the pickling liquor and then pour over the leeks. Place in a container and keep in a cool dark space. They’ll keep for a whole year so make plenty for next winter!